With over 50 years of experience, Cash Recovery Specialists has been helping companies recover more cash in less time. Click to learn more about how we can help you today! Mailing out invoices along with your promotional materials is easy with our help. We will process and mail your invoices so you can get paid faster. We understand that no two companies are the same. Allow us to take the time to learn what you need and offer a customized plan to help you reach your goals. 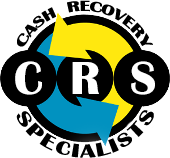 CRS is a group of highly committed financial professionals with over 50 years of financial services experience. We understand that no two businesses are alike so we pride ourselves in learning your business first then utilizing that knowledge to create a customized plan that address the areas you need help with. Our clients are large and small business located throughout the US and internationally, each utilizing our expertise to improve their collection activities. Our long term relationship with you, as an extension of your company, will increase your cashflow situation along with maintaining your customer relationships. We welcome any questions you may have regarding how partnering with CRS can benefit you and your company.